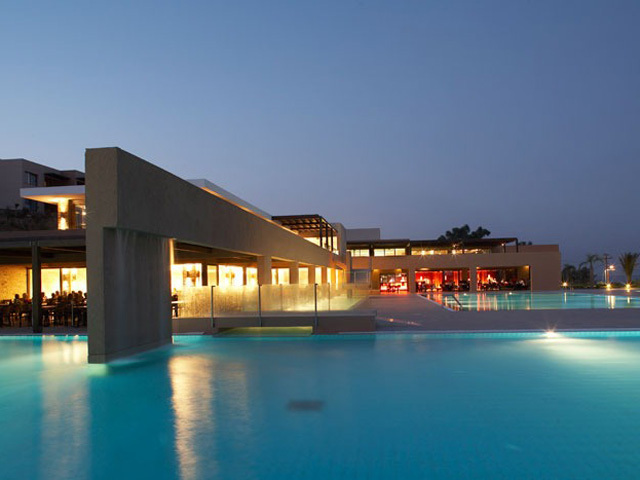 Defined by inspired, vibrant design, and located along the south coastline of Kos Island, Carda Beach is the setting for the most playful Escape. Sun-kissed sea view balconies and terraces, fine dining options, energizing spa treatments, sparkling and refreshing waters, and gracious hospitality. Surrounded by parasols and ample pool chairs, the hotel's elevated main pool area consists of 2 oversized swimming pools (2000m² / fresh water). In addition guests will also enjoy complimentary use of the indoor pool and the poolside Jacuzzi (105m²/ fresh water). At Carda Spa you will discover a serene environment, entirely devoted to the harmony and rejuvenation of body and mind. 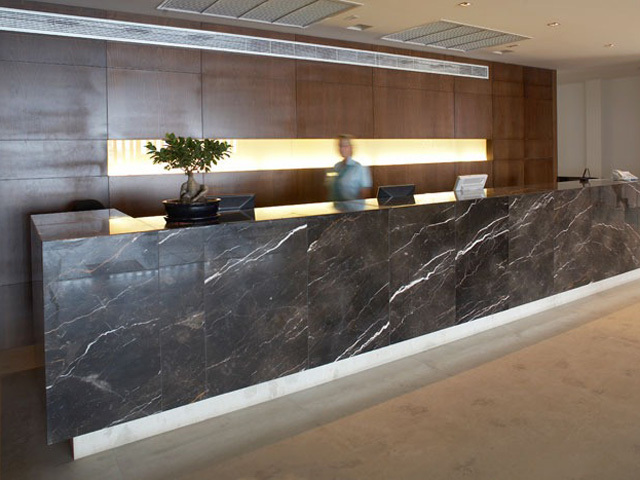 In high-standard facilities, you can enjoy a full set of quality services, especially designed to offer the perfect feeling of beauty, revitalization and stress reduction. 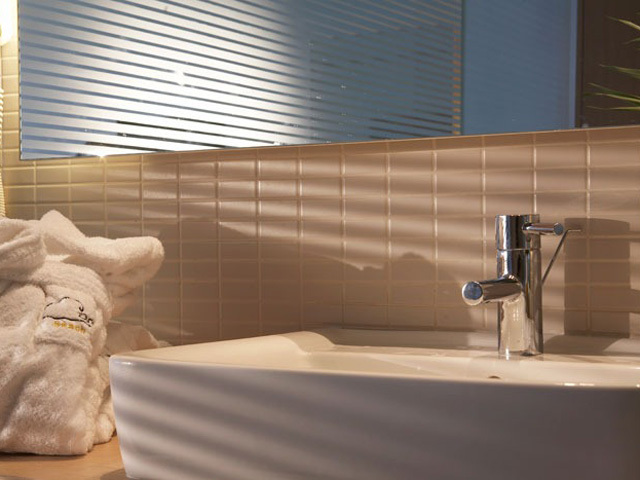 The spa's wide-ranging menu focuses on health, beauty, revitalization and stress reduction. 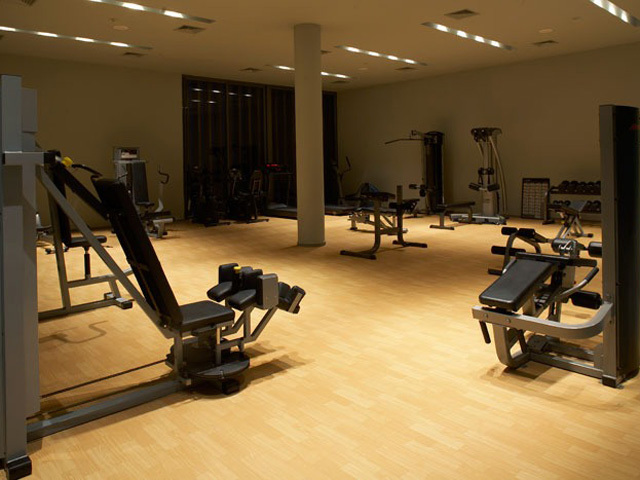 The spacious fitness room is fitted with the latest equipment such as rowers, static bikes, cardio machines, a wide range of strength machines and free weights. 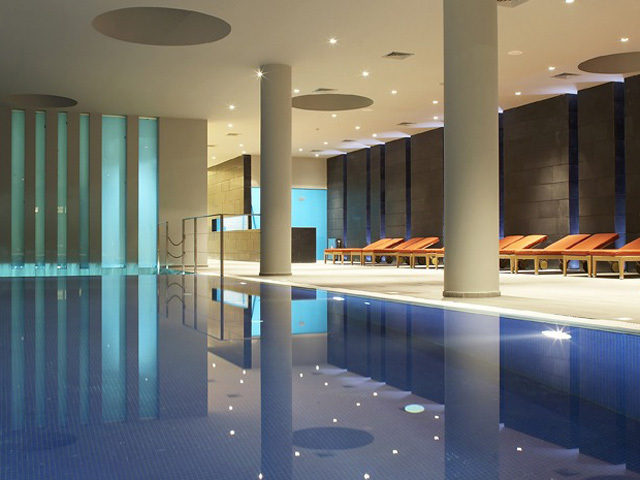 Located on the same level with the health club the guests will also enjoy complimentary use of the indoor pool and the poolside Jacuzzi. 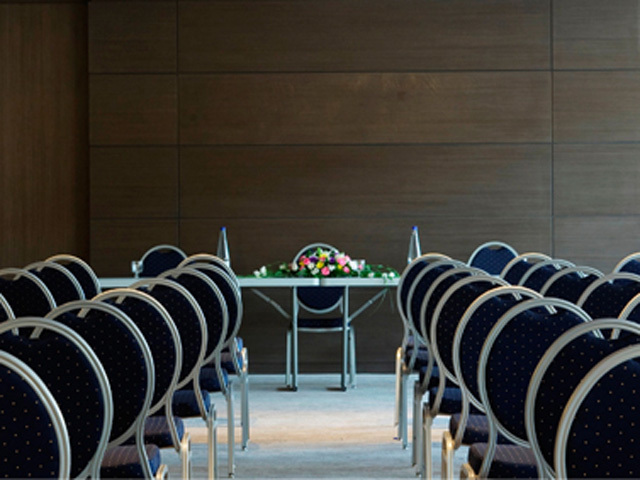 The Carda Beach Hotel features a versatile meeting space that can accommodate up to 250 people and is ideal for a variety of events. From larger banquets to small business meetings, Carda event space is perfect for your next gathering in Greece. 270 square meters of meeting area features a variety of set-up options, as well as state-of-the-art audio/visual equipment to ensure that your event is a success. Something for everyone's taste at the hotel's main restaurant, located right on the pools edge. 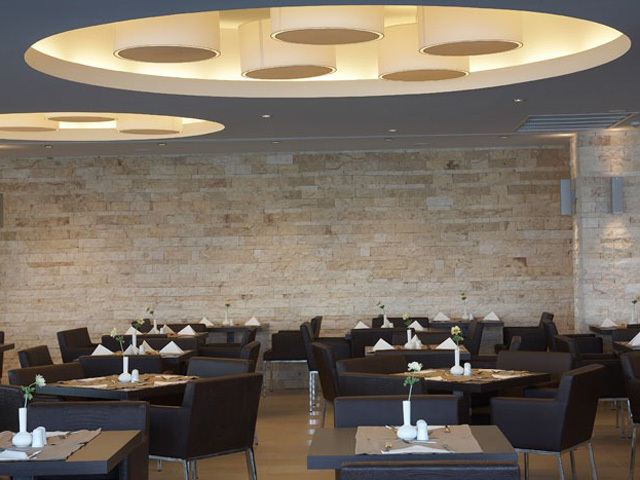 American breakfast, lunch and dinner buffet inspired by Greek and International cuisine. The Asian Infused Menu has been designed to entertain and delight you. Enjoy the scents of the far eastern flavors along with the shimmering blue view of the swimming pool at the front of the restaurant. Reservations required. 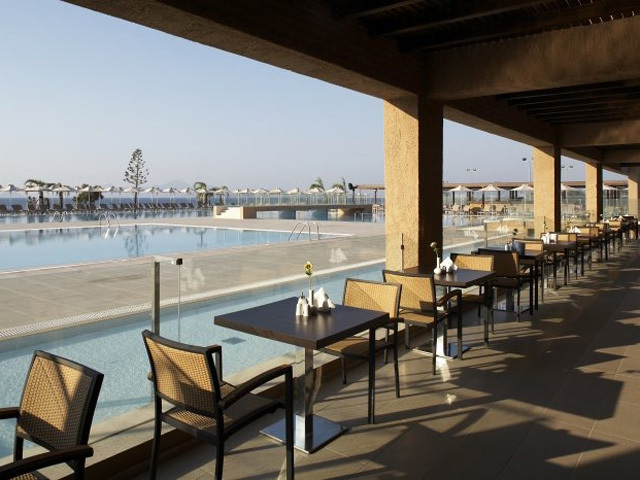 An open-air setting overlooking the sea and pools offers a getaway to the flavors and tastes of the Italian specialties. The maitre will be delighted to guide you through the wine list for a perfect match to a perfect meal. Reservations required. Sip aperitifs and cocktails, dance, relish the views from the extensive terrace and hit it off at the area's hippest bar! Take one step away from the pool to refresh yourself with a cooling drink or please your appetite with something small by the pool. 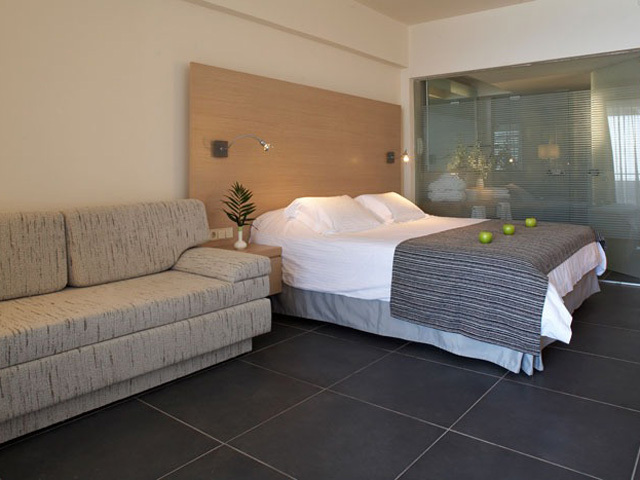 A king size bed and a seating area with a sofa that can be converted into a bed are available in the room. 20" flat screen satellite TV and music channels, DVD player, 2 phones, sofa that can be converted into bed, individual climate control, mini refrigerator, tee and coffee-making facilities, safe deposit box, furnished balcony or terrace, bathroom/ WC & shower, hairdryer bathrobes and slippers are available in all guest rooms. 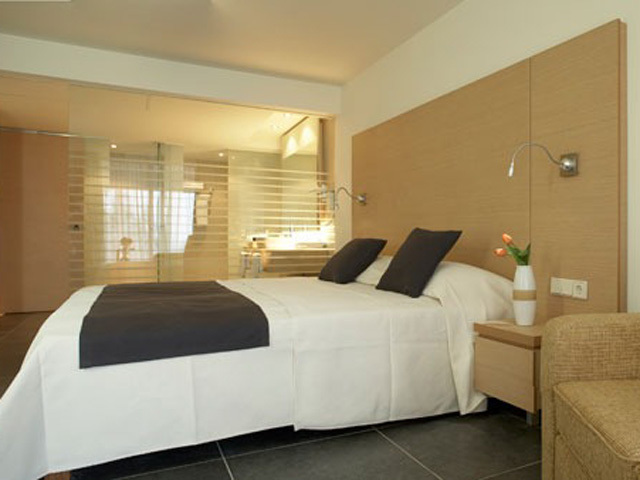 It is composed of a bedroom with a king size bed and a comfortably decorated living room. There is a door between the rooms and an en suite glass enclosed bathroom in the bedroom. 20" flat screen satellite TV and music channels, DVD player, 2 phones, sofa that can be converted into bed, individual climate control, mini refrigerator, tee and coffee-making facilities, safe deposit box, furnished balcony or terrace, bathroom/ WC & shower, hairdryer bathrobes and slippers are available in all suites. 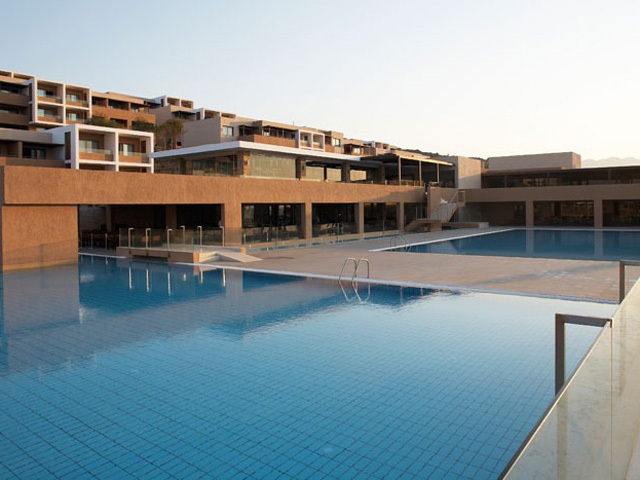 This part of the hotel consists of 3 separate complexes with their own pool areas. 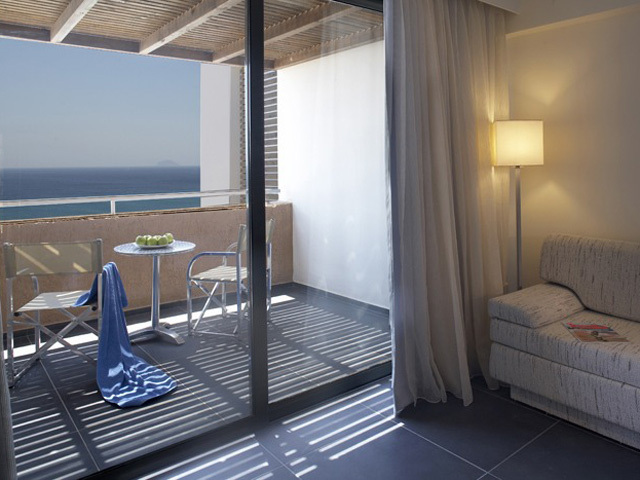 The suite is composed of a bedroom with a king size bed and a comfortably decorated living room. 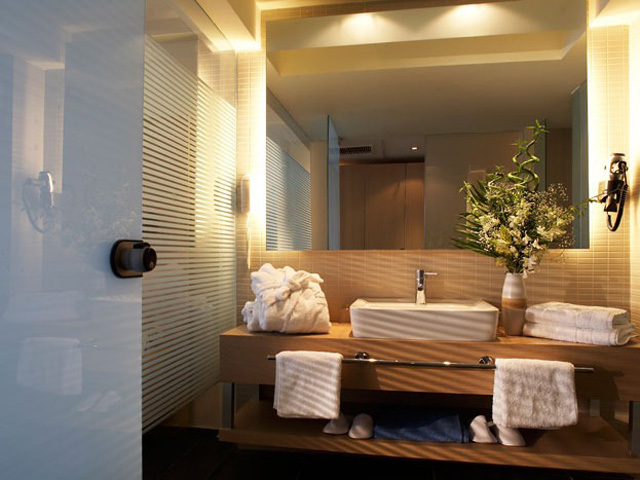 There is a door between the rooms and an en suite glass enclosed bathroom in the bedroom. Pool Chairs & Sunshades, 20" flat screen satellite TV and music channels, DVD player, 2 phones, sofa that can be converted into bed, individual climate control, mini refrigerator, tee and coffee-making facilities, safe deposit box, furnished balcony or terrace, bathroom/ WC & shower, hairdryer bathrobes and slippers are available in all sharing pool suites. 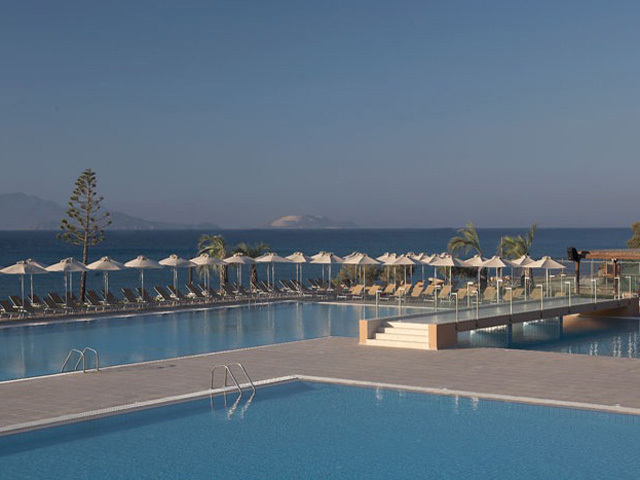 On the south part of the beautiful island of Kos and ideally located on the beachfront, nestles Carda Beach Hotel. The small yet popular village of Kardamena, is within walking distance or a short drive from the hotel, offering a variety of shopping, local restaurants and unparalleled nightlife. 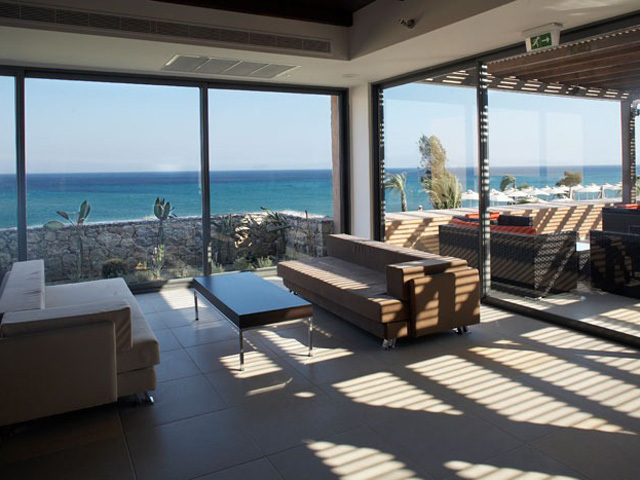 Open: April to October.... On the south part of the beautiful island of Kos and ideally located on the beachfront, nestles Carda Beach Hotel. 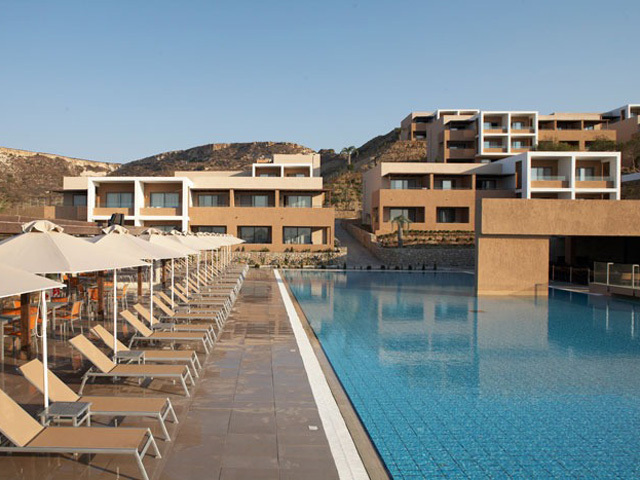 Destination for just two, or a whole party, the hotel combines the comfort of a summer resort in a stylish and playful ambience.